I saved a penny! Oh, I'm gonna be so rich! I saved a penny and got a Bona! Thank God! I used to have to buy my Kalastajan in bulk to find these savings! baby food? Don't get it. 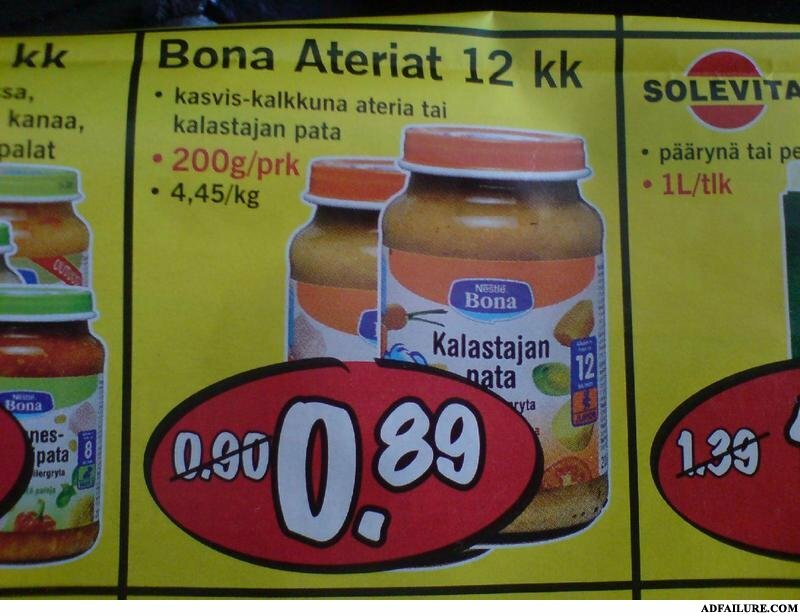 12 kk of bona ateriat? wtf. i have to buy EVERYTHING on sale. even though we dont have a baby. now that we have this baby food do you want to? Sale Fail. Only one cent less than original price. Lame. Yes! Saving this one measly penny allowed me to buy a new car and a mansion! What a great sale! Reading the dumbass things that people come up with as an answer.